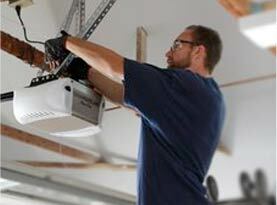 Our garage doors typically function without any problems every day and for years. They are easy to take for granted and when they do stop working we realize just how much we depend on them. Garage doors can stop working for different reasons and it will usually stop working at an inconvenient time, causing a lot of frustration. 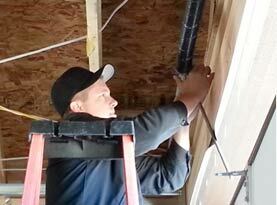 Most times the problem is a quick fix, but sometimes you will need to contact professionals. 1. Remote batteries have died. This is the easiest fix. You can see if this is the problems by looking to see if the switch inside your garage door allows the door to work. If it works, then all you need to do is switch out the batteries in the remote. 2. Too far from remote receiver. If you are too far away from the remote’s receiver, then your remote will not work. All you need to do is move closer to the garage. If the door still won’t open, you may need to reprogram the remote for your garage door. Find the steps to do this in the owner’s manual, online or call a professional. 3. Broken garage door springs. 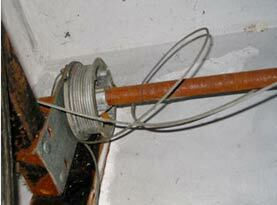 If one of the springs in your garage door has broken, then you’re dealing with a more serious problem. To determine if this is the reason your door isn’t working all you need to do is look at the springs. If you see a gap has appeared somewhere along the spring, then it has broken. You need to call professionals as this can be very dangerous to do on your own. 4. Object blocking photo eyes. 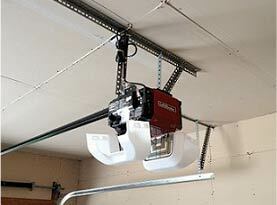 If your garage door is opening but not closing, then there may be an object blocking the photoelectric eye. This is the part of the garage door that is there to keep everyone safe. People and objects cannot be crushed when the door closes because this feature will reverse the door if something gets in the way. Look to see if there’s anything blocking the photo eyes and move it. The door should work once the object is removed. 5. Dirty or misaligned photo eyes. If there isn’t anything blocking the photo eyes, then the lenses on them may be dirty. If they are dirty it will interfere with the way they work. Clean the lenses and see if that fixes the problem. If you’re still having issues, then the photo eyes may be out of alignment. If they aren’t aligned correctly then they are unable to communicate with each other and this safety feature cannot work correctly. Try and align them or call professionals for maintenance. If you’ve done all the troubleshooting you can think of and are still having issues, call in the professionals at United Garage Doors for assistance. Let our experienced professionals make sure your door is functioning properly and safely, so no one will get hurt. Give us a call today!